Neuropsychology is the science concerned with understanding the relationship between the brain and human behaviour. If an individual sustains an injury to their brain they may experience a corresponding change in their cognition (i.e. their memory, thoughts etc. ), emotions (anxiety, low mood etc.) or behaviour. Neuropsychology aims to understand the psychological consequences of neurological and neurosurgical conditions and to use this information to help patients to better understand and cope with their illnesses. The Clinical Neuropsychology service is a unique and specialised service aiming to support the neurology, neurosurgery and neurophysiology teams in the Hospital. The department provides specialist diagnostic, management and rehabilitation services for patients with a wide range of neurological, neurosurgical and neuropsychiatric conditions. Patients with most neurological and neurosurgical conditions are seen but there has been a particularly emphasis on providing input to the specialist clinics in Multiple Sclerosis, Movement Disorders, Stroke, Head Injury, Epilepsy, Normal pressure hydrocephalus and Dementia. We also have a significant role in assessing and treating patients with medically unexplained symptoms. Development of skills such as anxiety and stress management. Patients are seen on both an in-patient and out-patient basis. An assessment comprises a clinical interview, assessment of cognitive functions (language, memory perception and executive functions) and feedback and explanation of results. Patients are also often offered follow-up sessions as appropriate. The department has established a collaborative relationship with the School of Psychology at the University of Plymouth. Neuropsychology also has close links with NeuroCoRe (The Neuro-Cognitive Research Centre) based at Plymouth Science Park. The team focuses on the development of new, innovative, computerised methods to assess cognitive functioning in neurodegenerative diseases, such as Alzheimer's and Huntington's Disease. The department also supports Trainee Clinical Psychologists undertaking their doctoral research. 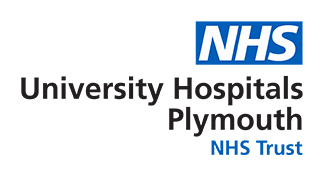 The department is actively involved in training and offers placements to trainees from both the Plymouth and Exeter Doctoral Clinical Psychology training programs. The department also affords the opportunity for two undergraduate psychology students to undertake a placement year, in which they assist the clinical psychologists in assessing patients and research projects. The department is actively involved in providing teaching to local training courses and services and contributes to the Neurosciences Care Module. The department provides neuropsychology teaching input to the Plymouth Doctorate in Clinical Psychology.